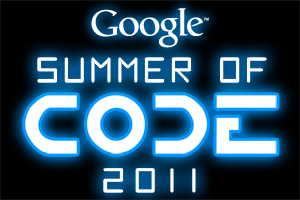 Haiku, an open-source operating system, has been a mentoring organization for Google Summer of Code for the past five years. After each of those years, the monies earned for mentoring have been used to further the Haiku project. This has been, and continues to be, handled by a 501(c)3 non-profit organization called Haiku, Inc.
For the first time ever, we have offered one of the project's long time contributors a 6 month employment contract to work on Haiku! This is literally a ground breaking event, both in terms of raising the needed funds and supplying the project with an extremely capable developer for an extended period of time. The developer is Michael Lotz (mmlr). He is well recognized within the project for his abilities and positive attitude of contributing to areas that are in need of additional help. Simply put, he gets the job done and done right. The goal of his contract is to work on anything and everything to bring Haiku closer to its first production quality release, better known simply as "R1". On top of this, the project has just released its third alpha release, Haiku R1 Alpha 3. Give Haiku a whirl today, see what you think and discover what you have been missing!